← Just what I needed! 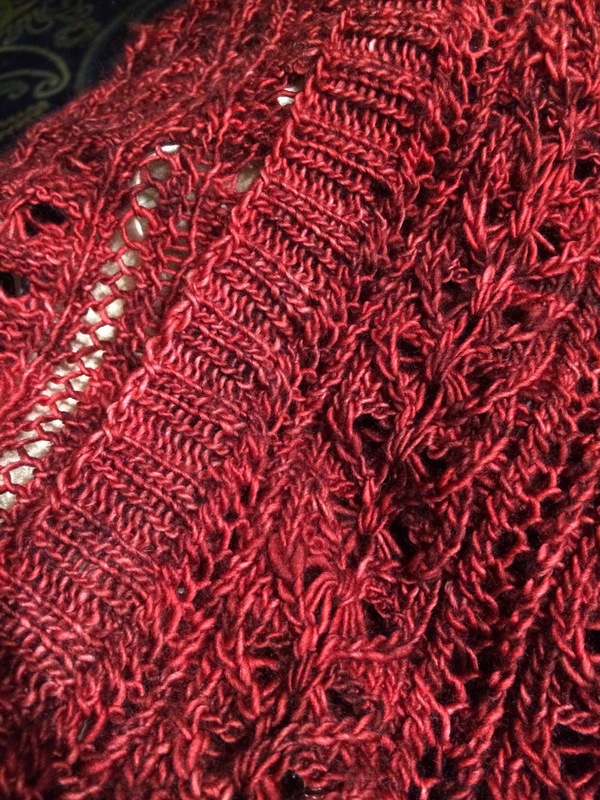 Today I was so excited to finish one button band of my cardigan, then the second band flew off the needles, and before I knew it, I was into the I-cord bind off! 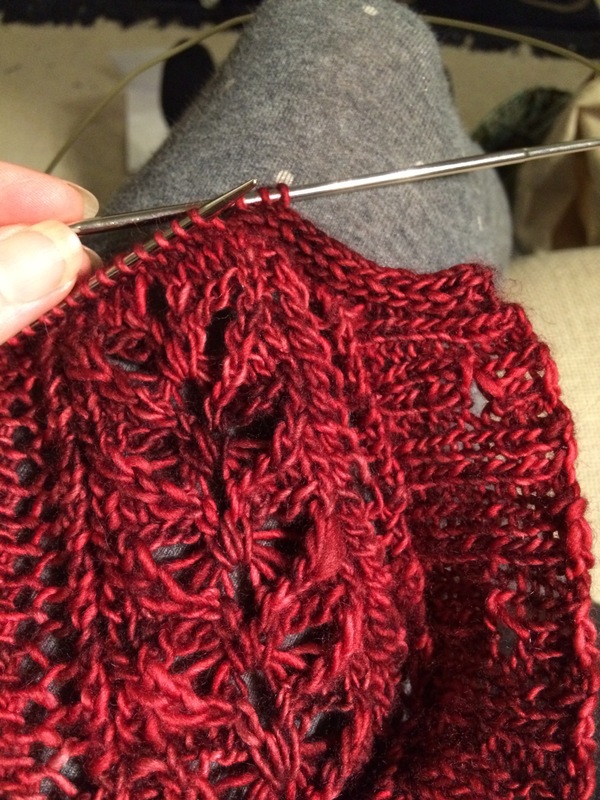 Ok, not that far into the bind off, but it’s pretty exciting, especially since my numbers matched up everywhere that it counts!